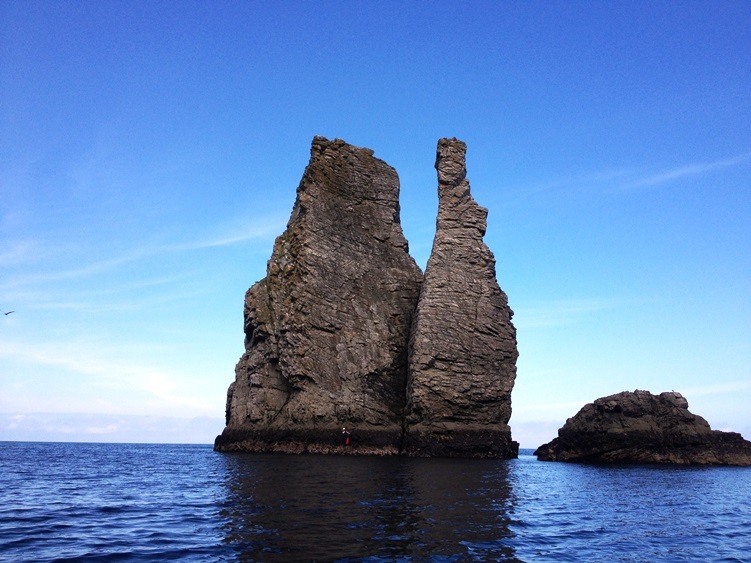 An Bhuideal (The Bottle) is an iconic 50 metre high twin headed sea stack living 300 meters out to sea at the base of 250 meter high sea cliffs. Its remote location and close proximity to the skerrie chain immediately to the north of it enures it is well guarded from any approach by visitors. More information on An Bhuideal, CLICK HERE. It's impressive, if slightly scary location and the quality of its climbing means it provides one of the most rewarding and adventurous days out rock climbing in Ireland. It is easily an equal to the mighty Old man of Stoer off the west coast of Scotland.